At Old Port Roofing, we believe that a roofing system is only as good as its functionality. Operating as Adelaide roof plumbers, we can ensure that your commercial or residential roofing system checks off all its functions when it comes to the wettest months of the year. If the rain is causing you headaches, call Old Port Roofing today. Our team of roofing specialists operate as expert roof plumbers and provide a range of services all aimed at assuring that your roofing system continues to support water flow in the wet times of the year. If you are having issues such as flooding, leaking or other runoff problems, let our Adelaide roof plumbers help. At Old Port Roofing we can undertake a comprehensive analysis of your roofing system, and identify any potential leaks before it can cause detrimental issues. We can get up on the roofing system, so you don't have to, and our Adelaide roof plumbers know what to look for exactly when surveying a roof. Using unique techniques we have found numerous leak-related problems small and large - and have solved them promptly. If you are suspicious of some interior moisture or have noticed some natural light where you shouldn't, let our roof plumbers pinpoint the leaks and take the appropriate action. 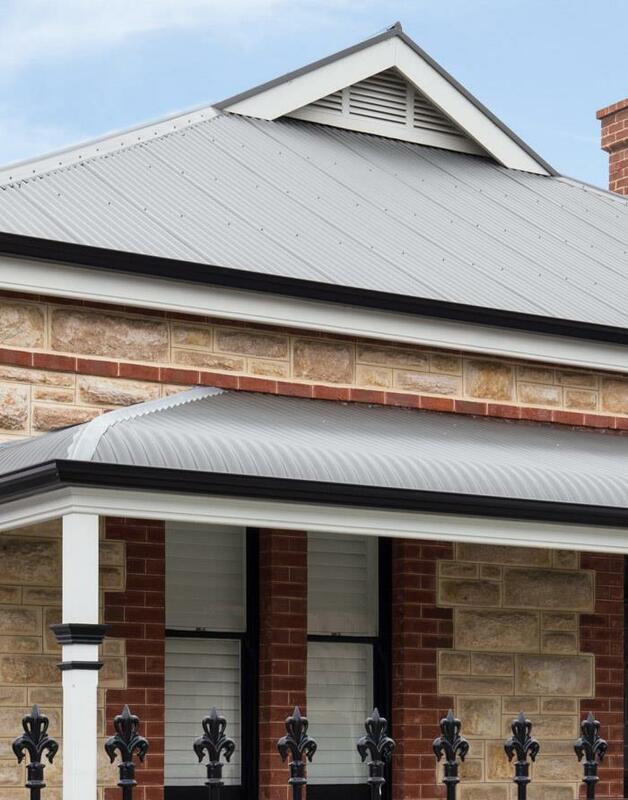 Our team of Adelaide roof plumbers can undertake a range of repairs and maintenance to roofing systems that will restore functionality and structuring to your home or business. After identifying the issues, our team will use their expertise to develop a solution that will restore your roofing system. Whether this is a faulty sheet or gutter that is affecting water runoff or a desperate need for screw replacement, our comprehensive service can handle any water-related roof issue. Our professional roof plumbers will ensure that all valleys and falls associated with your roofing system are adequate for transporting water to the gutters. It is a careful and often neglected process. Every property is different, which affects water direction. If you have overflowing drains, or one side of your Adelaide property is subject to more water than the rest, you may have an issue relating to the angles and falls of the gutters and sheets on your roofing system. Old Port Roofing roof plumbers specialise in the careful remedy of improper gutter falls, and valleys' placement. Adjusting and fixing as necessary, any issues that have occurred affecting this system get accomplished through a range of methods and techniques. Finally, our team can replace, relocate and alter downpipes to assure that every drop of water that hits your roof gets led to draining in the right direction. Often improper installation of downpipes can lead to backflow issues that can be extremely detrimental to the health and well-being of those inside. By taking extra care during this process, you will avoid any further questions relating to water damage around your property. With gutter and downpipe replacement also available, there will always be a solution to your roofing woes. For premier roofing plumbers in Adelaide, look no further than Old Port Roofing. Our team is well known for their onsite cleanliness and organisation, tending to their work with minimum invasion to you, the homeowner. For the best in roofing advice, service, products and workmanship, be sure to give us a call at Old Port Roofing: 08 8341 2555.